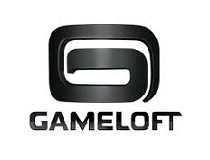 A leading digital and social game publisher, Gameloft has established itself as one of the top innovators in its field since 2000. Gameloft creates games for all digital platforms, with an audience of 157 million monthly users. Gameloft distributes its games in over 100 countries and employs 6,000 people worldwide. The Cluj studio opened in 2010 and is now home to ~ 500 passionate people. Their work as testers, programmers, designers or artists leads to incredibly fun and award wining games.